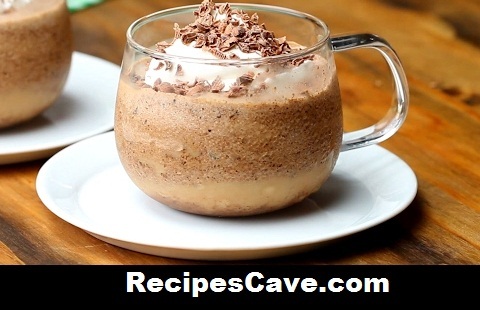 Frozen Irish Coffee Recipe - This is a special coffee followed Irish style. Let learn how to do this easily at home or workstation. Frozen Irish Coffee for Servings: 2-4 people. Pour coffee into ice molds and freeze. Pour sweetened cream into ice molds and freeze. Whip ½ cup of remaining sweetened cream and set aside. Take 4 cubes of frozen coffee and place in a blender, add 1.5 oz whiskey and blend until foamy. Add 2 cubes of frozen sweetened cream and 1 tablespoon of chocolate, blend. Top with whip cream and drizzle with more chocolate. Enjoy. Your Frozen Irish Coffee Recipe is ready to taste.